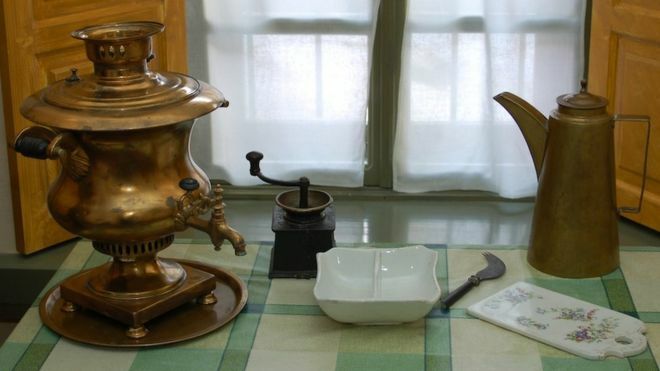 Russia’s security service arrested three senior officials after recording conversations using a bug hidden in a samovar they had given as a gift of thanks for anti-corruption efforts, it’s emerged. According to the influential Kommersant newspaper, the Federal Security Service (FSB) planted the bug as part of an investigation into senior officials of the Russian Investigations Committee (SKR) who were said to be taking bribes. The samovar – engraved with the letters “FSB” and the organisation’s logo – been presented to the head of the Investigations Committee’s Internal Security Directorate, Mikhail Maksimenko, and was left sitting in his office, Moscow daily Izvestiya reports. The three were arrested in July, but details of the bugging operation have only just been revealed as their case comes to court. A court in Moscow detained Maksimenko and senior officials Denis Nikandrov and Alexander Lamonov over charges that they accepted bribes from a known crime kingpin, Kommersant reports. All three deny the accusations and claim that the FSB surveillance activities against them were “illegal” and didn’t implicate them in bribe-taking anyway. Their conversations were “the prattle of tipsy men,” Nikrandov told the court. The trio are not alone in finding themselves undone by catering equipment working for the security services. In September, police colonel Dmitry Zakharchenko, arrested after billions of roubles were seized from his flat, said that the FSB had been listening to his conversation with a bug planted in a “spy plate” in a Moscow restaurant.